Derek Peck has always been an adventurous publisher. 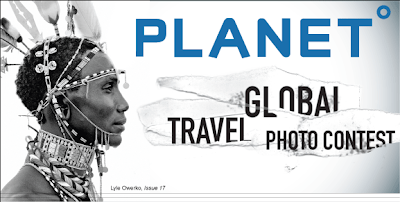 His magazine Planet has run some incredibly interesting and element editorial over the last few years. I am grateful for the editorial space he has given my work and interest he has taken in my career. It's rare nowadays. I gladly accepted his offer to use one of my Samburu images to promote his latest endeavor which is a photo contest. The winnings are very different than most contests -- including an around the world plane ticket and a 10 page editorial as first prize. Wow. That's cool. There's a great jury including Tim Barber of Tiny Vices and Sara Rosen from PowerHouse Books. Here's a link to the contest. Entry's are due October 20th.